After our tide gauge installation we were ready for data acquisition. Back in the Plot Room with the NOAA officers and surveyors, we were using Rainier to get information for Sheet H12692 and later for sheet H12691. The first thing we had to do was drop the MVP off the back of the ship. On Rainier, the MVP is a Moving Vessel Profiler. This small, but very important piece of equipment needs to be placed in the water before we begin scanning the ocean floor. On Rainier, they use the MVP. On the launches, they do the same thing, but they call it a CTD. This important part of data acquisition is needed to check the conductivity of the water, the depth of where this is happening and the temperature. To be more specific, sound travels differently when water has more salinity (conductivity), more pressure (depth) and fluctuating temperatures. This information varies greatly from place to place. Simple changes to this information could come from a variety of places. There could be glacial runoff or streams coming into the bays that would change salinity and temperature. Further down from the surface, water has more pressure from above. Something as simple as the time of year – warmer water temperatures in the summer, cooler in the spring or fall can make a difference to the data collected. This is all important information so Rainier and the launches check levels a great deal. Here is some Rainier specific information on MVP/CTD. 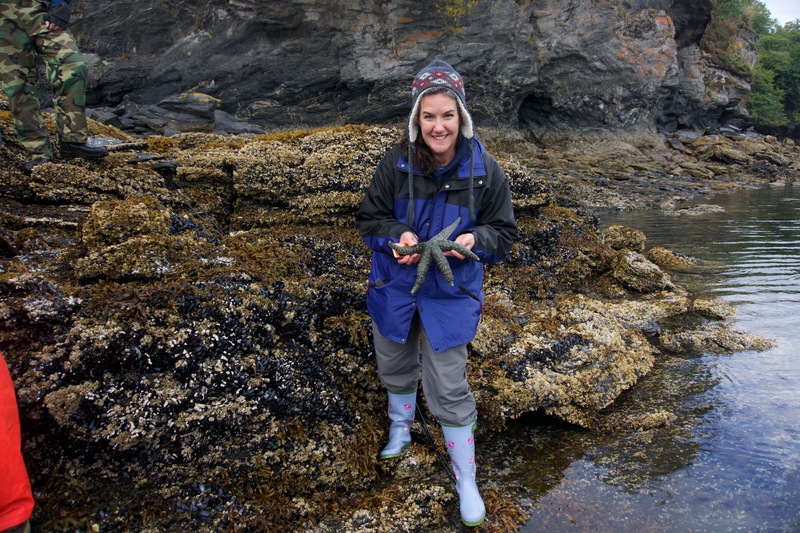 For additional information, check out this great link about sound in the sea. I also found an interesting website about the difference between salt water and fresh water – why salt water and fresh water don’t always mix. What else can you think of that might change the conductivity in ocean water? 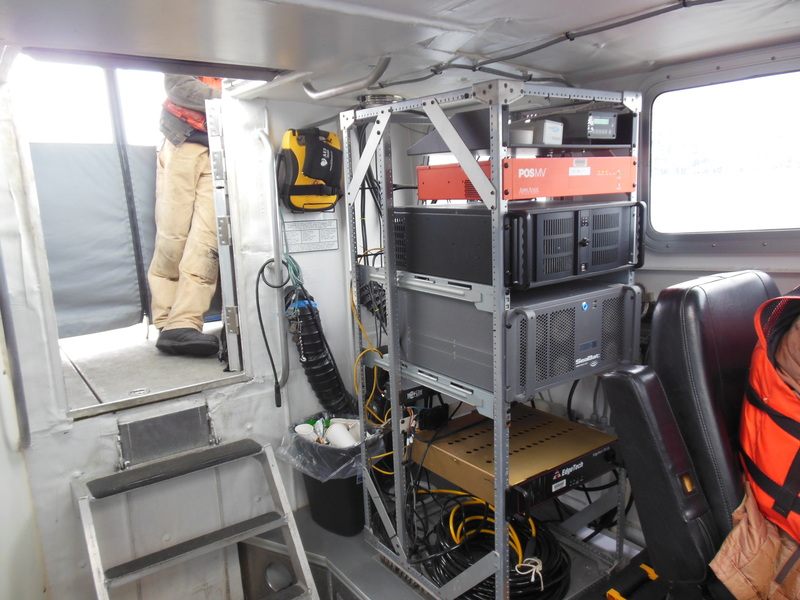 Again, all of this information, including tidal readings and depth of the boat where the sonar is, will be put into the CARIS program for a great deal of work after we initially scan the ocean floor. ENS Bissell and ENS Deveraux were here along with many surveyors as we scanned over their sheet with Rainier’s MBES. Do you remember, this is the Multi Beam Echolocation Sounder that comes out of the bottom of the ship. I initially thought we would be going back and forth over the area – sort of like when you mow the lawn. You want to cover everything without repeating a space and wasting time, but also you don’t want to miss an area either (they call this missed area a “holiday” – kind of quirky, but I couldn’t find anyone who knew why). Today, Rainier was going in a zig-zag crossover pattern. 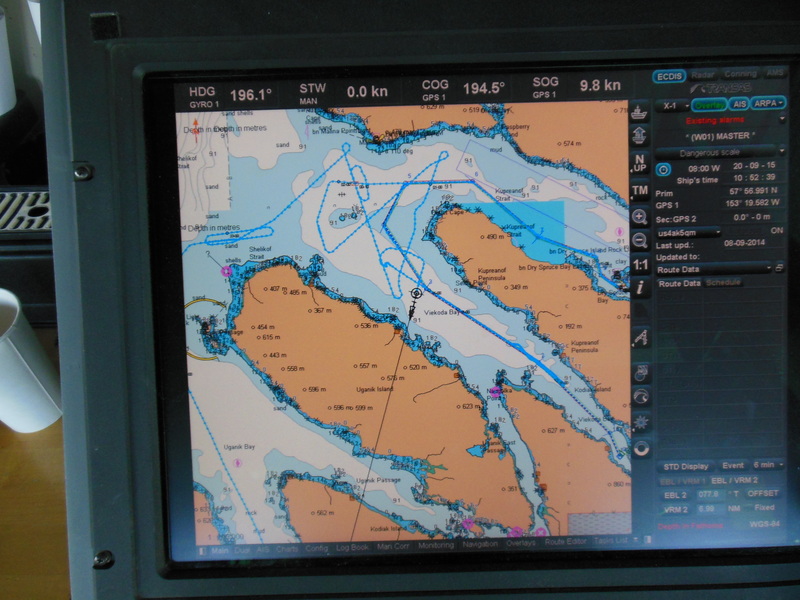 Looking at the ECDIS, an electronic chart, where Rainier has been. I learned that they do this initially in an area for Quality Control. Here, they just call it QC. They scan an initial zig zag pattern so when they do the back and forth lawn mower type of scanning they will be able to match up the scans with the previous zig zag. Again, they take their work very seriously and this a great way to make sure they are getting quality scans. HAST Mike Bloom keeping an eye on all of the information coming in. After a bit of training for new crew and myself, the large davits brought the 16,000 pound survey launches out of their cradles and into the water, we loaded them up and off we went. On the day I was out surveying, we had two launches working. One was further inside Viecoda Bay while RA6 was out in the bay closer to the opening. We went to our assigned polygon to begin work. Eli Smith, the scientist in charge of this particular sheet named all of his polygons with tree names (I was told a story how a few years ago someone used silly names such as Fluffy Bunny to name their polygons). We went to Eucalyptus first and began scanning the ocean floor. About halfway through our initial scan we needed to stop and get a CTD reading. We would do this a total of 3 times today. 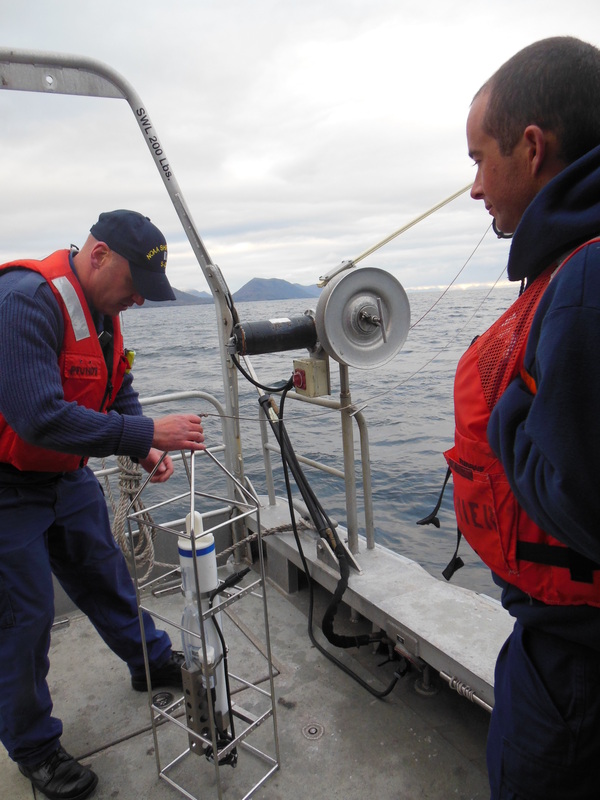 LT Pfundt and ENS Bissell preparing the CTD to be lowered. 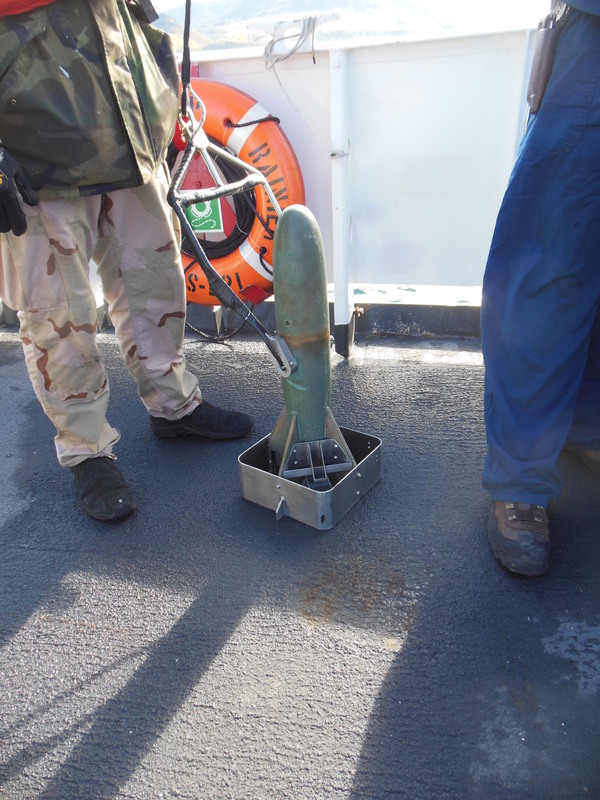 Unlike the MVP on Rainier that gets dragged behind the ship for a specific time period, the CTD on the launches gets lowered to the ocean floor while the launch is not moving. In the photo you can see LT Pfundt and ENS Bissell working with the CTD. HAST Chris Palmer was also with us and he then checked to see if we received quality data and later would put all the information together in the Plot Room. 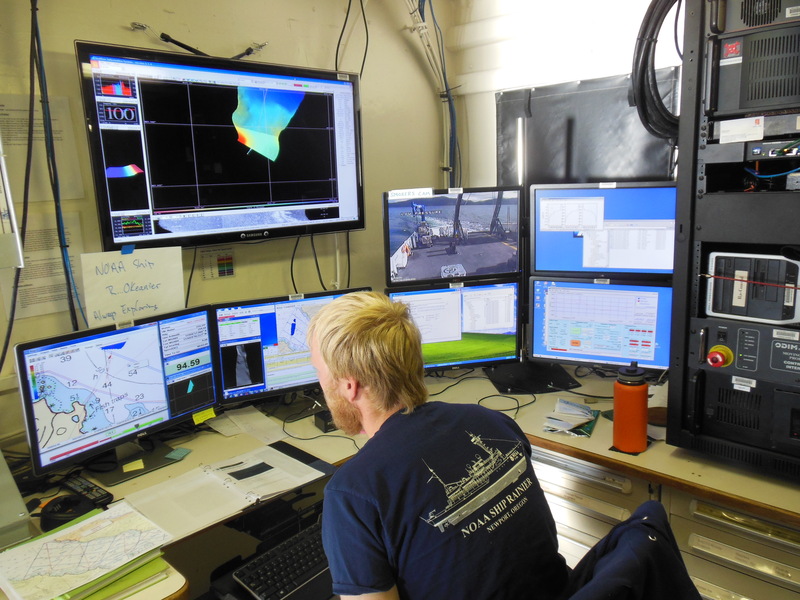 Our day continued for many (many… many…) hours out scanning the ocean floor in polygons. We had AB Anthony Wright at the helm driving us throughout the day. He was kind enough to let ENS Bissell and I drive the boat for a while and he was an excellent teacher. 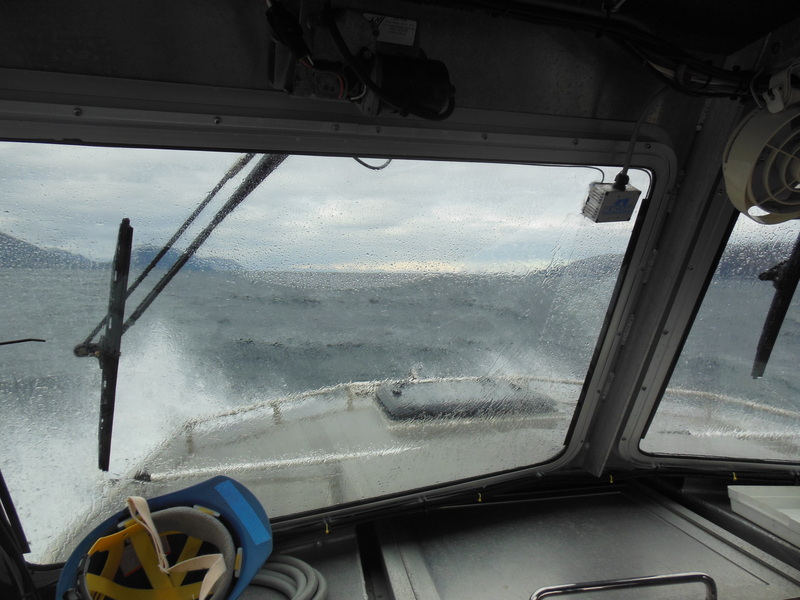 Eventually, the weather changed and we had some rough seas to work in. Since we are looking for quality scans, we had to leave an area and go closer to shore to get away from big waves (when scans are not good they get “noise” and “blow-outs” that need to be re-scanned). 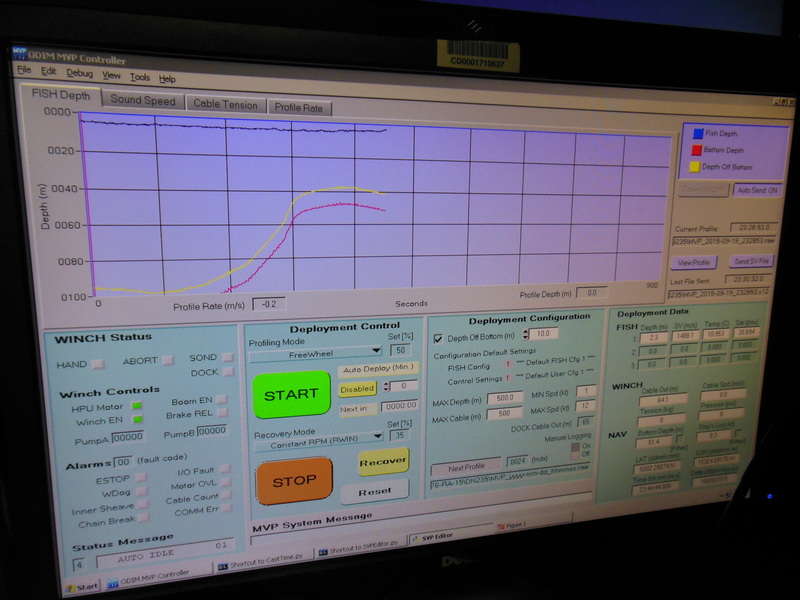 We also had to lower our speed from about 6 knots to 4 knots so our scans were clear. A knot is a unit of speed that is equal to 1.151 miles per hour. As you can see, we didn’t go very fast. Remember, we are sending sound waves down to the bottom of the ocean and back. The more we moved around the more difficulty the sound had coming back to us. Keep in mind all this movement on top of the ocean, plus checking the quality of the water equals the computers needing to do a great deal of work. The launches not only have multiple computer screens to use, but behind the person manning them was a stack of computer servers to process the data… and this was only the beginning of the work! 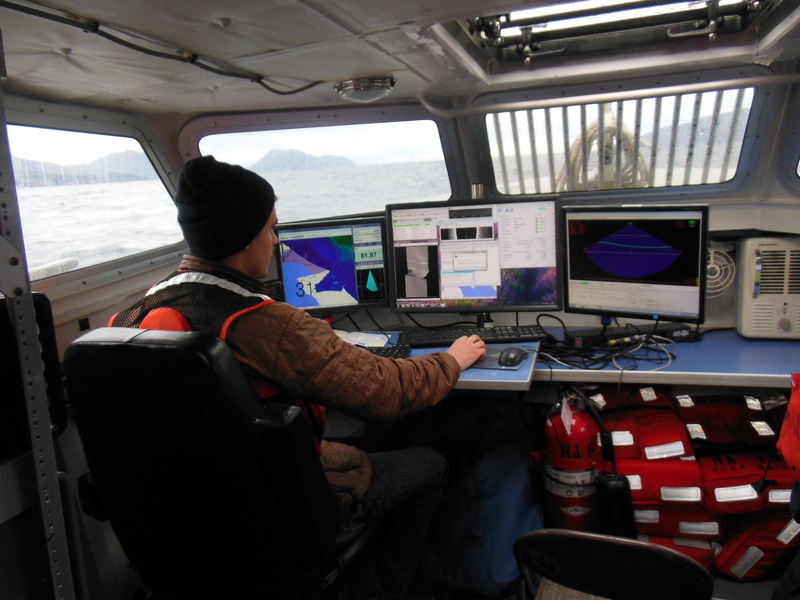 Hydrographic Assistant Survey Tech Chris Palmer keeping track of data. While we were out in the launch, we got a chance to see lots of whales and sea otters up close. It was pretty exciting being out on the launch surrounded by nature and some amazing STEAM work! For this entire trip I have been fascinated by the engineers running this ship. They would pop up out of this door with a skull and cross bones on it having worked hard to keep this 46 year old ship running smoothly. I chose to sit down with Chief Engineer Garret Urban. We discussed his job as a Maritime Engineer. As Chief, he is the boss of the engineering department and keeps a constant eye on things, hopefully they will be able to spot a situation that they can repair before it becomes a bigger problem. Garret is on call 24 hours a day, but the engine department has 2 people on duty at all times. Garret needs to maintain all the equipment, do repairs and do some administrative items such as scheduling and juggling what needs to be taken care of within a certain budget. Like everything else on this ship, Garret made sure to point out that safety is paramount to everything they do in the engine room. He told me he makes a plan for every day, but always needs to improvise and adapt! Garret chose to go into the Navy right out of high school. He mentioned he was not a fan of going to school and suggests the Navy for someone who is interested in this job and might not like traditional schools as much. The Navy trained him very well. He did say there are Maritime Engineering schools around the country and this is a very high need career! 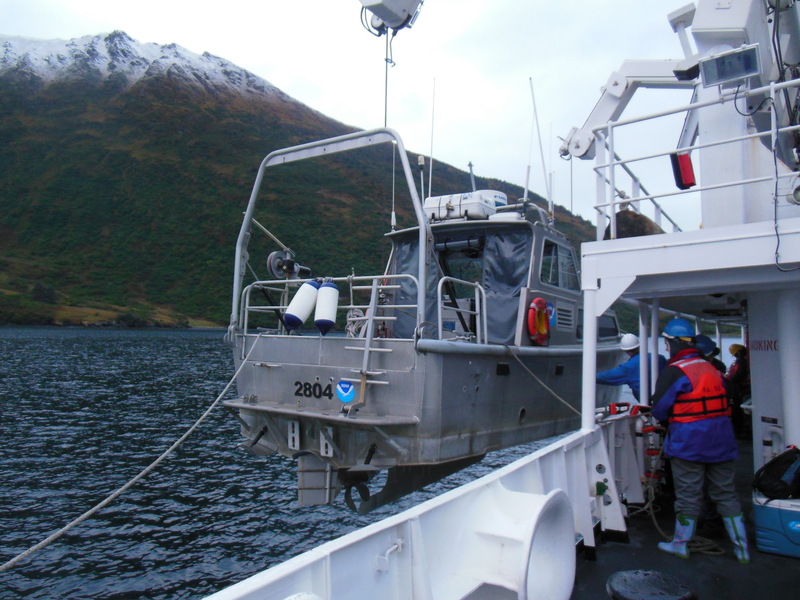 Garret was actually on Rainier as a 1st engineer earlier on in his post-Navy career before he worked on NOAA ship Pisces. 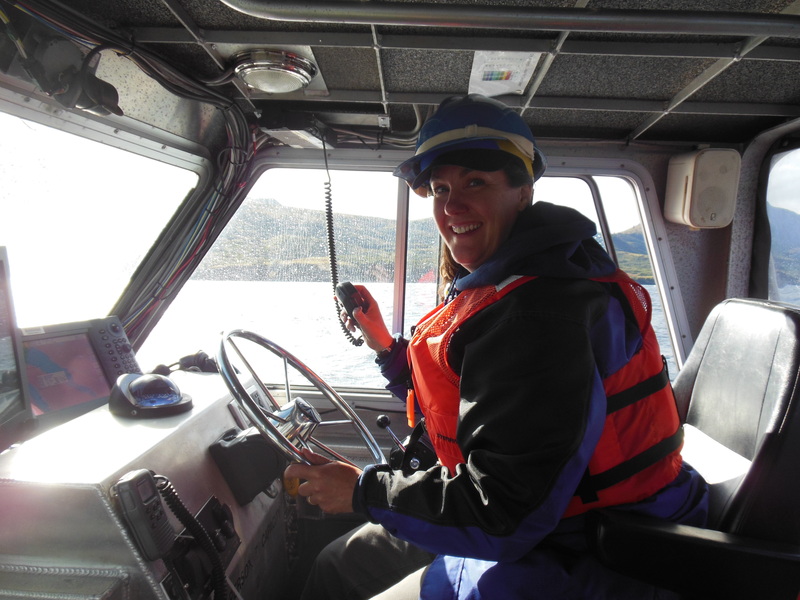 After some time taking care of family business, working on luxury yachts and in the oil industry, Garret came back to NOAA this year. 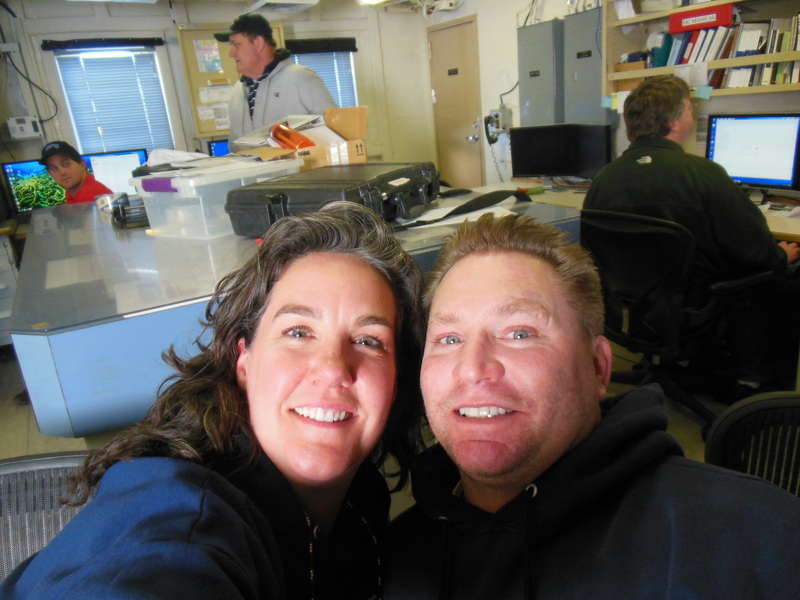 He became Chief Engineer on Rainier this past summer. Everyone here is very glad to have this hard working man around! I was pretty excited when Garret offered me a tour of the engine room – while the ship was under way. 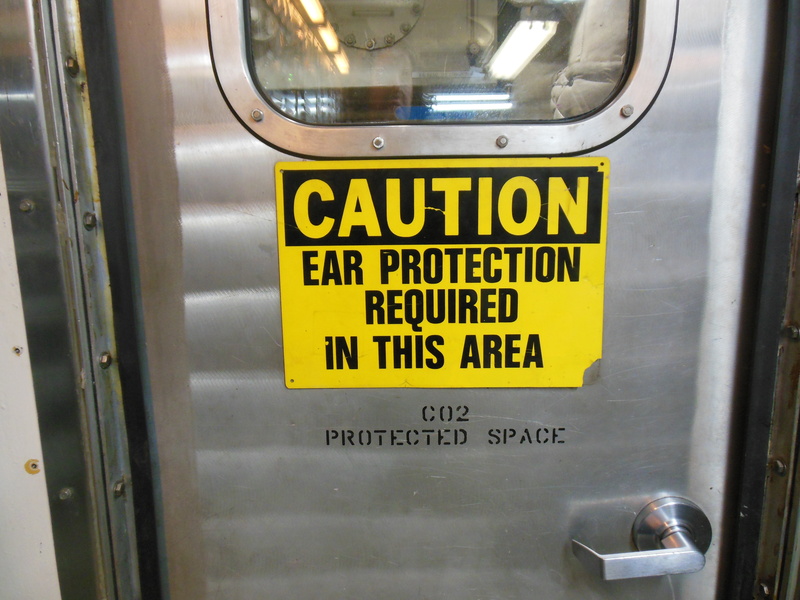 He set me up with ear plugs AND headphones to protect me from all the noise in the engine room. Wow! Was I thankful for that! This fascinating place in the lowest level of the ship is a maze of moving parts… I loved it!! 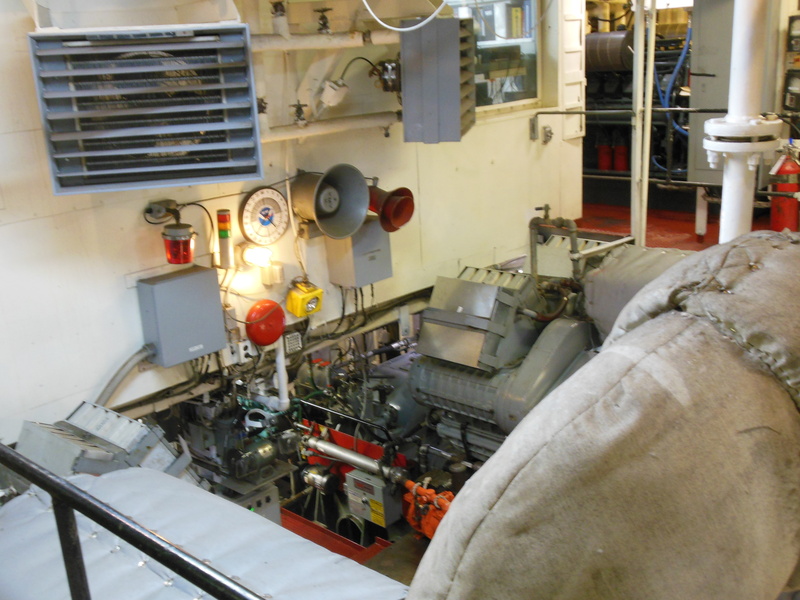 A small area of the engine room looking down on one of the diesel engines. Same type they use for trains, but Rainier has 2. 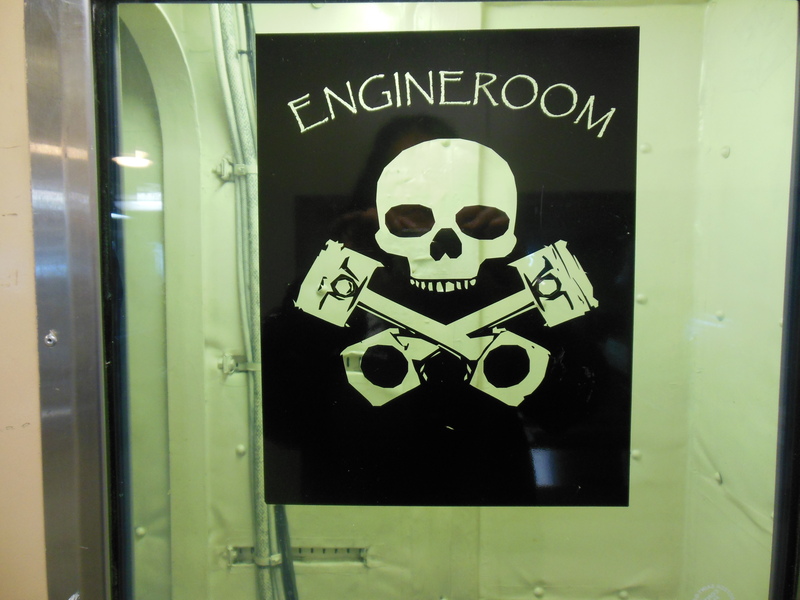 Down in the noisy engine room – a fascinating place for me!! Underwater photo of two types of jellyfish. 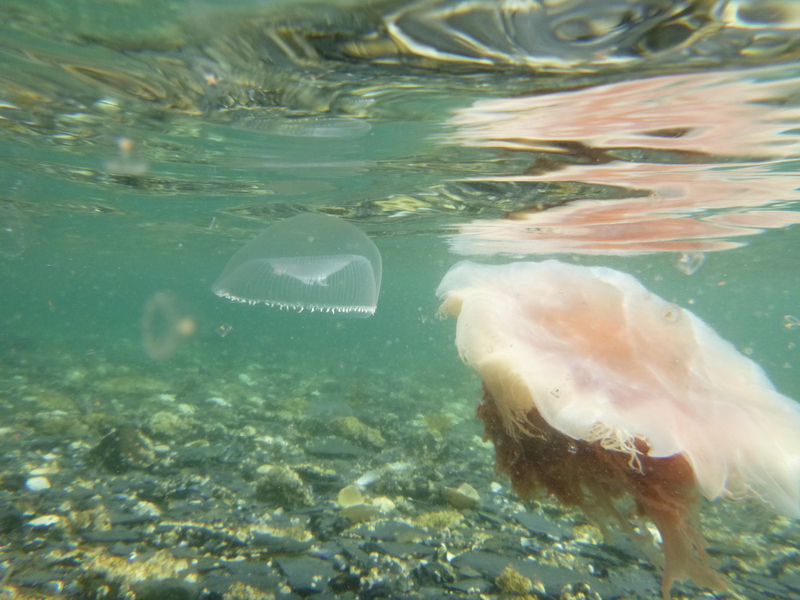 Look closely for the very small baby jellyfish. I have been truly enjoying the wildlife here in Alaska. I wasn’t sure what I would see being later in the year. Much to my surprise I have seen a great deal. I have seen many bald eagles, porpoises, otters, whales and even lots of underwater photos of jellyfish, starfish and sea anemone. 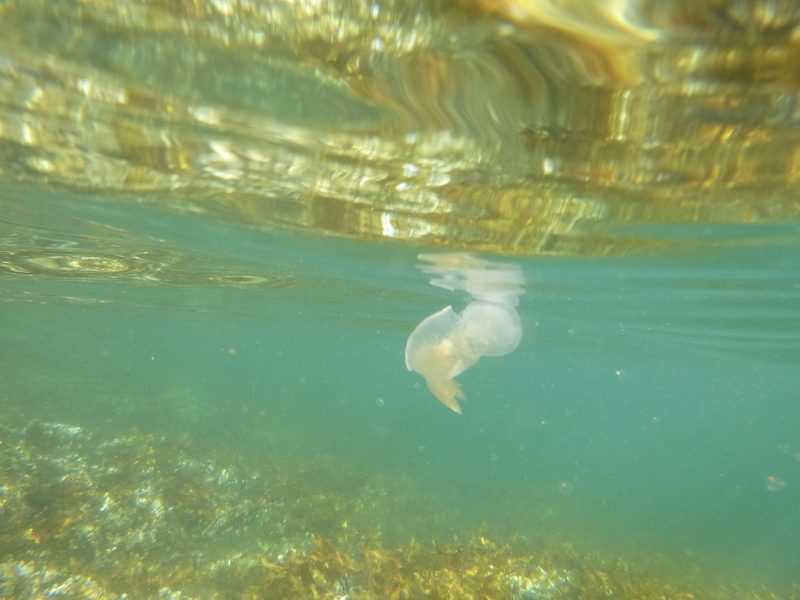 One odd creature was a hooded nudibranch!! A unique hooded nudibranch, a sea slug that comes in a variety of shapes and colors. One whale was just 20 feet from the launch! I was very impressed by how the crew respects wild life. 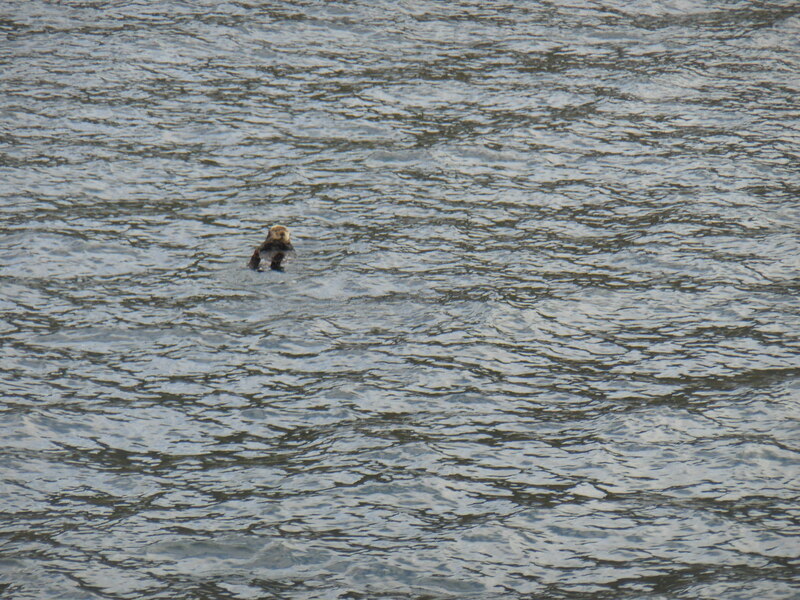 An otter that watched us go by. 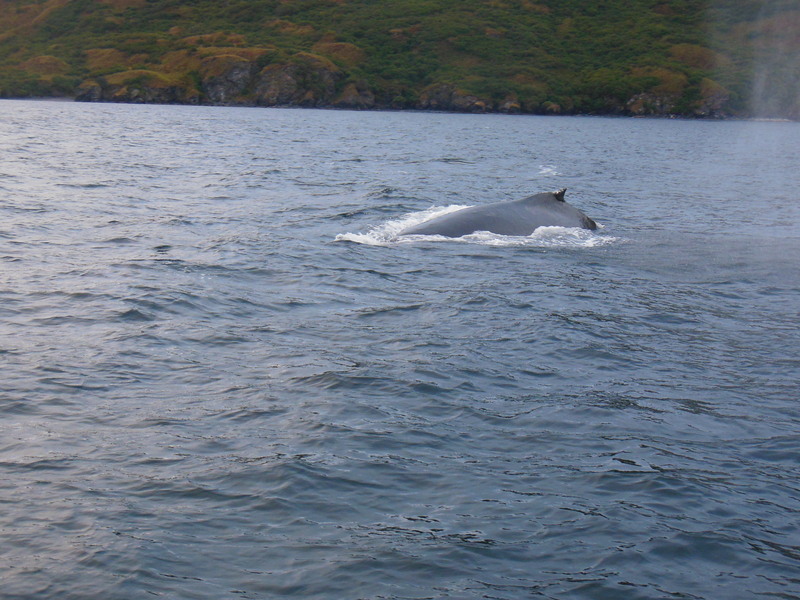 One day, we had some whales nearby while we were scanning the ocean. Usually the whales give us lots of room, but today a few were right in front of us. Rainier actually stopped and backed up to give the whales room. We then had to circle around to get back to our survey area. I am still hopeful that I will safely see a Kodiak Bear… but not yet! 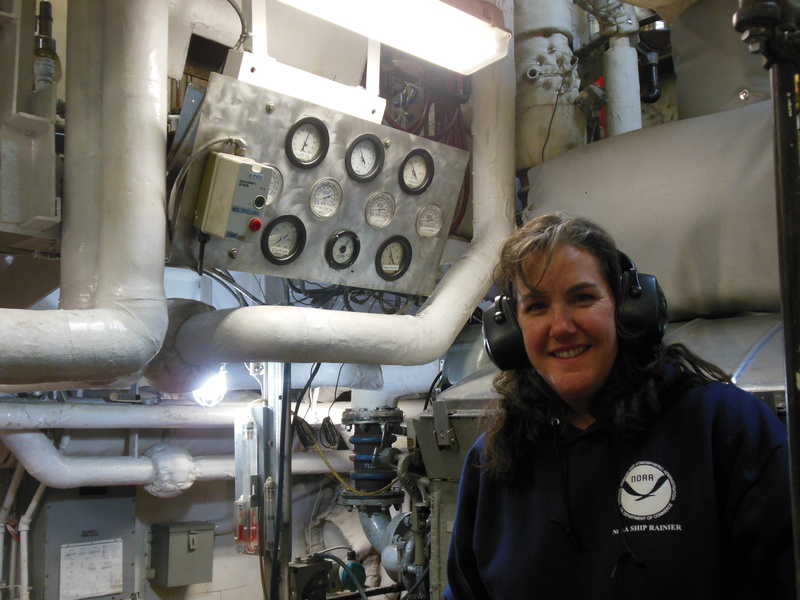 This entry was posted in 2015, NOAA Teacher at Sea, Rebecca Loy. Bookmark the permalink.